Agents Still and Hollahan are on a special assignment—one that technically does not exist. 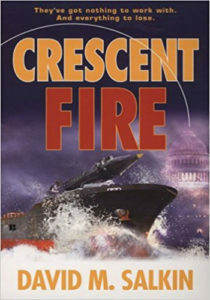 They have little more than the name of the mysterious terrorist mission: Crescent Fire. Good thing these boys know how to work under pressure. .
Buy it on Amazon U.K.